The wall is coming down! Expanding chain to make Georgia debut. Orlando-based Earl of Sandwich plans to quietly open its doors at Phipps Plaza at 10 AM this morning. The new restaurant, located on the mall's second floor, is the first in the state of Georgia and only the 31st worldwide. The chain, which got its start in 2004, was founded by the 11th Earl of Sandwich John Montagu, his younger son John Montagu, and businessman and namesake Robert Earl, founder of Planet Hollywood. The restaurant occupies a portion of what had for many years been a large Gap store but it has been vacant in recent years. Given that the space had never before been a restaurant, it look a little while to get the eatery built out. Phipps Plaza, which lost basically its entire food court when it added Legoland Discovery Center in 2012, sees the lower floor, so close to the escalators, as a great spot to add casual dining options. While Johnny Rockets and Moe's relocated to new spaces and Rock's Chicken and Subway were later added, the mall was lacking quality fast casual offerings and Earl of Sandwich is the perfect solution to that problem. I was introduced to Earl of Sandwich in 2007 at International Plaza in Tampa. Similar to my discovery of Potbelly Sandwich Shop in Chicago, I was fascinated with Earl and how their food was similar to other sandwich joints, but far better in taste. 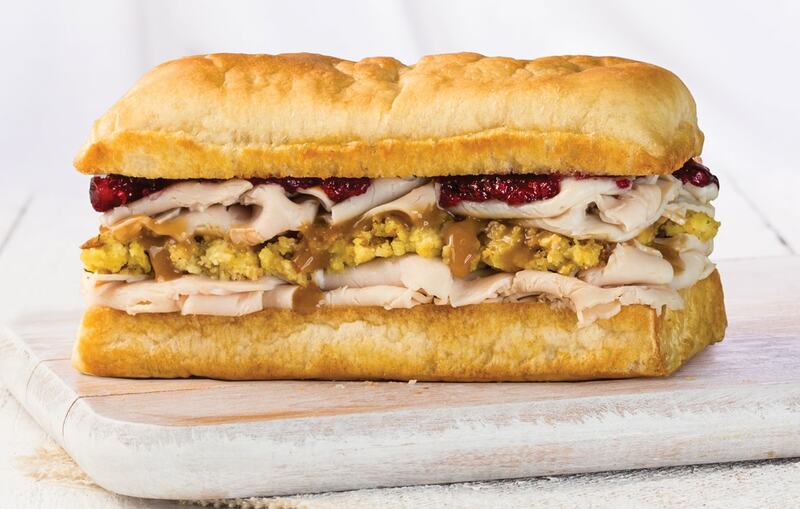 Among the most popular sandwich options is the "Holiday Turkey" which includes turkey, cornbread stuffing, turkey gravy, cranberry sauce & mayonnaise. While perhaps not as well known as California's In-N-Out, Earl's local opening is eagerly anticipated by a number of readers who have reached out to share their excitement about it. Normal hours will be 7:15 AM for breakfast through 9 PM for dinner. The restaurant has partnered with Atlanta's Octane Coffee to keep its customers caffeinated. Currently, the chain operates twenty-seven locations domestically with international locations in the U.K., Qatar and Disneyland Paris. Disney is a popular partner for the brand as they also operate at Disney Springs in Lake Buena Vista, FL and Downtown Disney in Anaheim, CA. 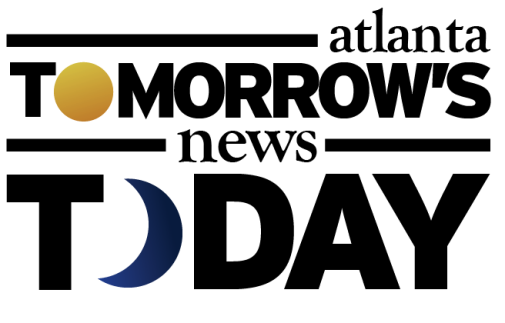 Franchisee Alex Espalin of Regal Restaurants, LLC signed a multi unit agreement to expand the brand in metro Atlanta. Sources tell me he is already scouting for location two. Unlike most Earl of Sandwich locations, the Atlanta outpost will offer Coke products, something Espalin, a former innovations executive with Coca-Cola, was able to finesse for his group. Additionally, Espalin tells me, Coke may test new bottled and fountain beverages at his restaurant. Espalin, who has been in Atlanta fifteen years since taking the innovations post at Coke, is originally from California. He earned degrees from Cornell, Michigan and Harvard and is a passionate entrepreneur. Growing up, Espalin worked in restaurants and later managed restaurants in Disneyland and Walt Disney World. Espalin plans to bring the "Disney Magic" to his Earl of Sandwich restaurant(s). Assisting Espalin at Earl of Sandwich is a team of seasoned restaurant and hospitality veterans. Michele, formerly of assorted Darden Restaurants, will be the General Manager, with Austin, formerly of Chick-fil-A, aiding her as supervisor. Greg, who previously co-owned a pair of Quiznos Subs franchises, will be the restaurant's local Training Director. Are you excited about Earl of Sandwich coming to metro Atlanta? If you've been before, what is your favorite sandwich? 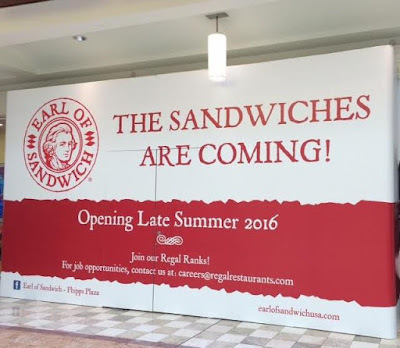 Where would you like to see Earl of Sandwich open next? This exciting news. It sounds like a great place. Phipps needs more restaurants. I'm still mad they took out their great food court for Legoland. I think the location will be a challenge though. They need to advertise especially since they are not near the other food options in Phipps. Coincidentally going to Phipps today - a place I so rarely go. I was planning to try Rocks Chicken. Now this is opening. Decisions decisions! I agree Phipps had a wonderful food court and they destroyed it for some low rent amusement park or whatever that is. The Earl of sandwich sounds like a good move, but does adding fast food to the main level sort of make Phipps less and less of the “luxury” mall it once was. I realize many merchants have opted for the ever growing Lenox or even the Buckhead Atlanta project, but does this simply move Phipps closer to being a small second tier mall. Obviously Simon wants to make money and I suppose ultimately it’s about filling holes.  Just want to let you know that you provide a lot of great information. There are several stores and restaurants I go to that I would have never known about if it wasn't for your blog. Can't wait to try the Earl of Sandwich. Yes. I love this blog. Thank you so much for the updates. I'm not a sub kind of guy but this place sounds great. Shame it's in Philips though as I barely have a reason to visit Buckhead much less visit that mall. Awesome sandwiches. When my friends and I discovered the one at Disney Springs, we returned twice in the same week. I also stopped in to Planet Hollywood in Vegas just for Earl of Sandwich. I go to the one in Vegas when I am there. It is also my go to spot at the PHL airport. "While perhaps not as well known as California's In-N-Out, Earl's local opening is eagerly anticipated by a number of readers who have reached out to share their excitement about it." Totally random to bring in a burger chain that's not germane to the conversation. Good food! Phipps desperately needed something reasonable and healthy for shoppers on the go.